There are numerous reasons for a person to eat out and visit a restaurant, and the proof that we do so is proven by the multi-billion dollar restaurant chain industry. For some of us, going out is a celebration; perhaps a birthday, or a promotion at work. For others, it could be a way to share a romantic evening or to catch up with friends. Restaurants are wonderful in that they provide us with good-tasting food, in spite of our predispositions in the kitchen, and does so quickly, conveniently, and hassle free. While some of us are certainly more apt in the kitchen then others, restaurants allow everyone to eat their fill and go on with their lives. However, whether you are going to a restaurant out of convenience, to celebrate, or simply to indulge, it is important to know that not all restaurant chains are created equal. The word ‘chain,’ when associated with a restaurant, typically doesn’t bring the best notions to mind, at least in terms of quality of food. Knowing as we do, these are businesses, and ultimately, they are after making a profit, a profit which can be much better severed by buying mass produced foods, and in many cases, simply reheating and ‘re-assembling’ them in house. But just as, there are many poor restaurants that using the word food to describe their offerings might be a stretch, there is a good amount of others that seem to offer a healthy alternative – at least by comparison. While it cannot be argued that if you are trying to eat healthy than eating at home is your smartest move, however, sometimes eating out is the only option on the menu. So next time you do find yourself in a position to pick the restaurant, may we suggest one of these 10, because compared to the rest, these are the 10 healthiest restaurant chains. 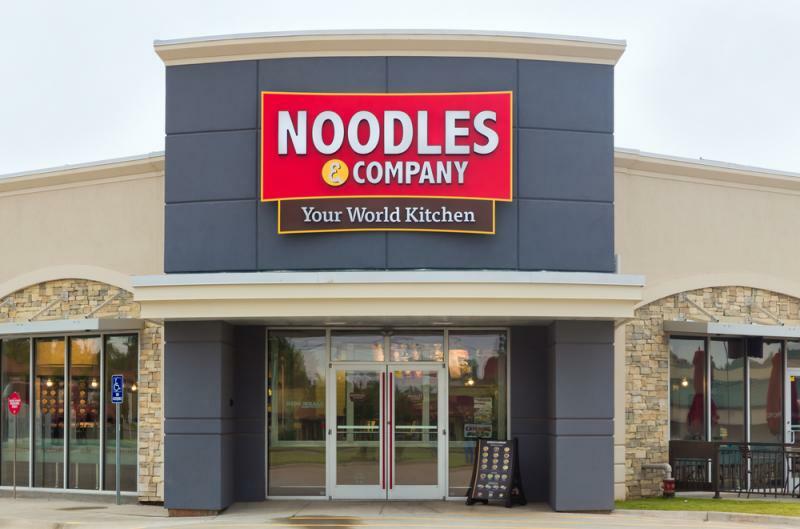 This should come as no surprise, but the answer is yes, this is a chain of restaurants based around the all mighty noodle. While they do offer a little bit of everything, like soups, salads, sandwiches and desserts, noodles are their bread and butter, so to speak. From spaghetti and meatballs, to pad Thai and everything between, this menu has something for everyone and even allows you to customize your meals. Unlike the power of doing that with a pizza, at Noodles & Company, it provides the patron with a lot of health menu options, so that they, in fact, can feel good after eating at a place called Noodle & Company. Fact: Only soybean oil is used for sautéing at this chain, and lean proteins include hormone- and antibiotic-free chicken, beef, and shrimp and organic tofu. Whole-grain linguine makes for a healthy noodle option, and many small soups and salads contain 250 calories or fewer per serving.